For a few years now, I’ve been a big fan of the blog Smitten Kitchen. 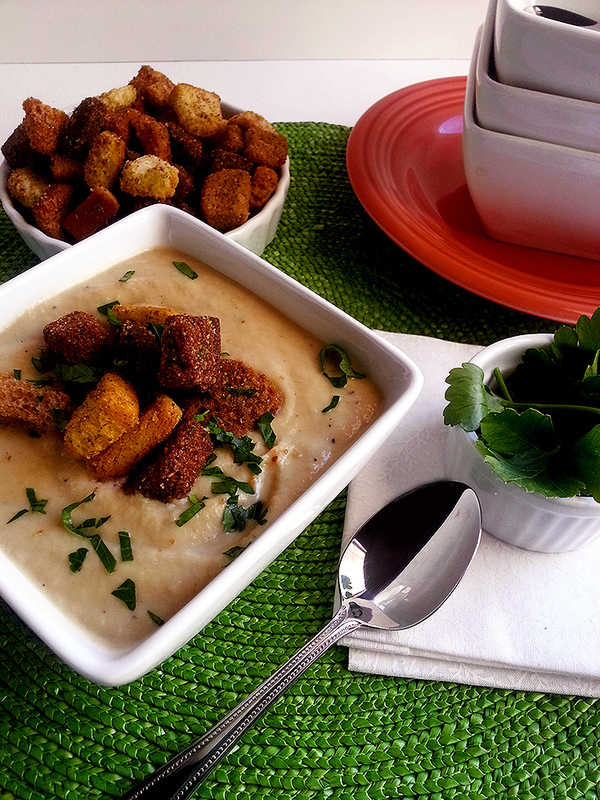 Deb’s photos and food are absolutely stunning, and her posts are really engaging. What’s not to love? 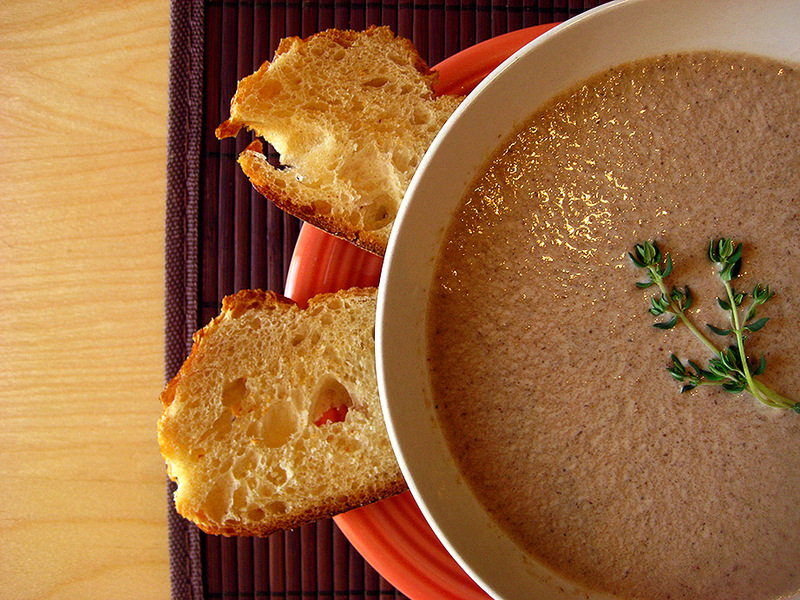 She originally posted this recipe for cream of mushroom soup way back in 2007. I’ve had it bookmarked for what seems like ages, and I finally got a chance to make it! I know right now in AZ it’s not exactly soup weather, but depending on where you are in the US, it still feels very much like winter. So, if you’re looking for something to take the chill away, or if you’re just looking for a simple and tasty lunch or dinner idea, you’ve come to the right place!